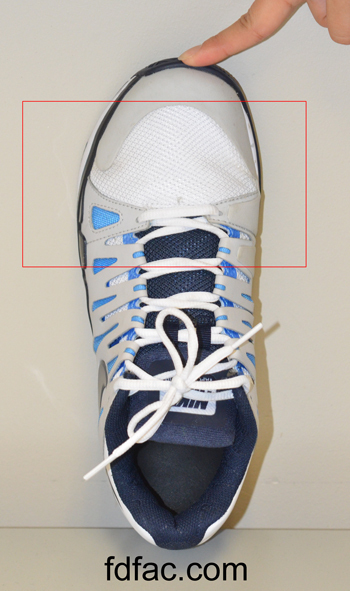 Finding a tennis/court shoe to accommodate a wide foot with a bunion, is no easy task. Fortunately, Nike Zoom Vapor 9, is just that shoe. Although sized for the male foot, it will work for women, size 7 and beyond. If you are a woman with a size 7 foot, order size 6 men’s which is the equivalent size. Now, on to the features that make this such an outstanding shoe. 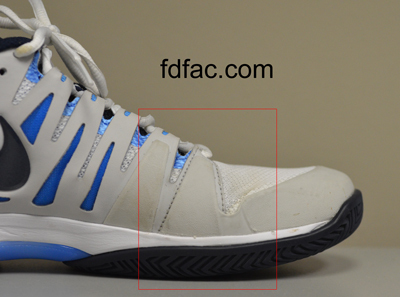 Mesh near the bump — Most tennis-specific shoes have an entirely leather upper with reinforced trim and/or stitching over the bunion area. Zoom Vapor 9 has mesh, which allows for a wide forefoot and expansion over the bunion area. Not only does this feature help to decrease pressure along the bunion, it also helps for those players having hammertoes. Beyond that, mesh makes this shoe lightweight and more responsive for being on your toes. 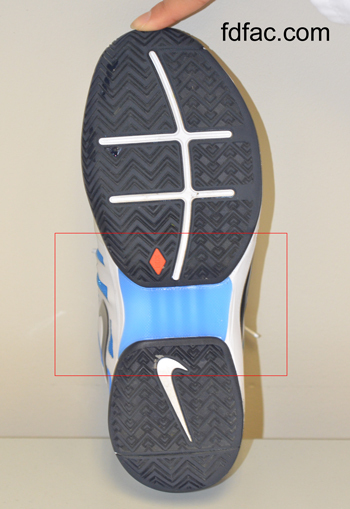 Wide waist — Tennis players with a wide forefoot, arch collapse and excessive pronation need support, especially mid-arch. Zoom Vapor 9 doesn’t hourglass in at the waist — and that provides stability and maximum support. Torsional stability — Tennis is a sport with lots of side-to-side motion, primarily on the forefoot. Because of this, the shoe needs to be stable lengthwise, which Zoom Vapor 9 is. All in all, this is a terrific shoe. If you have a wide foot — with or without a bunion and/or hammertoes — then you will want to check this model out. This entry was posted in Shoe Review, Sport Specific Shoes, Uncategorized, Wide Feet. Bookmark the permalink.